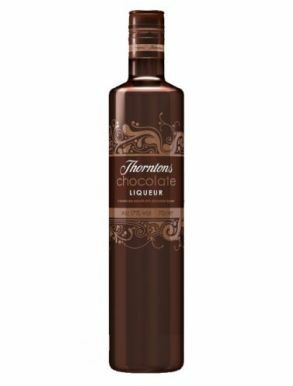 Thorntons Chocolate Liqueur is the indulgent delicious liquer made from Thorntons, the British chocolate brand established by Joseph William Thornton in 1911 and owned by Italian company Ferrero since 2015. This liqueur is a delicious luxuriously smooth, rich chocolate liqueur. The chocolate flavoured cream liqueur is made with Vodka at 17% alchohol. A smooth, chocolate liqueur is perfect served over crushed ice, or poured over an ice cream dessert. Made by the famous Chocolatier 'Thorntons'.